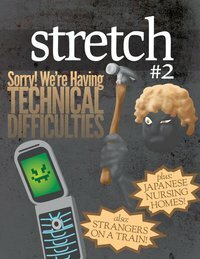 Stretch issue #2 launch party, 7 pm this Thursday at Word bookstore in Greenpoint, celebrating the release of what we can safely call the most expansive, detailed, brimming-with-intrigue, handsome — and only — literary zine comprised entirely of contributions from Trader Joe’s Brooklyn employees. Dave Colon began self-publishing Stretch last year when — frustrated as we all are with the state of things for both the printed word and the printed-word-related job market —he decided to just make something happen himself. (DIY, do or die!) For this issue, he asked for contributions from similarly underemployed fellow grocery jockeys, who it turns out have lots of free brain time in between helping nannies wrap their three bananas in four plastic bags. Akwarian Sea Rebel, aka Trader Joe’s artist-in-arms and all-around groovy person Mandy Heck, is holding an EP release party Friday at Matchless featuring several things you probably haven’t seen before at a show in Williamsburg. 2) More drunk Trader Joe’s employees per square inch anywhere outside the Brazen Head. 3) A Sesame Street-featured artist performing live! 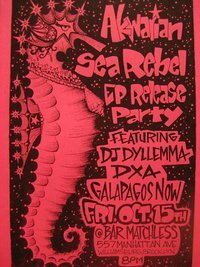 Disco Vietnam at Bar Matchless WEDNESDAY!! Now, the Schwartzes and the rest of the gang will load their equipment into the band’s standard AH-64 Apache helicopter at their Long Island lair and descend via rock grappling hooks and beat-making belay wires in their air-raid return to Socialist Republic of Brooklyn on Wednesday, with landing expected at Bar Matchless at 7 p.m.
(also appearing: The Roof Walkers, Delta Hotel, Subject of the Question and Gift Exchange). 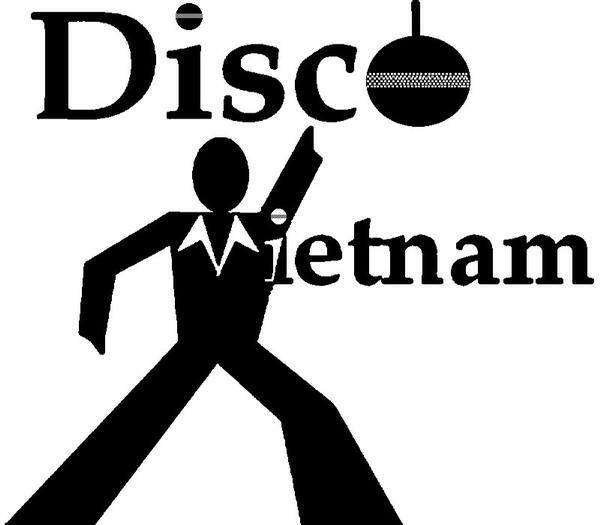 Are you unfamiliar with Disco Vietnam? What the hell? What have you been doing this whole time? Why not sample some tracks from their new EP “Totally Awesome Decisions” over on MyFace. Or download their latest single, Little Infinity, right now, put it in your SpacePhone to listen to on the train. It’s music that’s a guaranteed cure for a case of this.